The XC6211 series are highly accurate, low noise, CMOS LDO Voltage Regulators Offering low output noise, high ripple rejection ratio, low dropout and very fast turn-on times, the XC6211 series is ideal for todays cutting edge mobile phone. 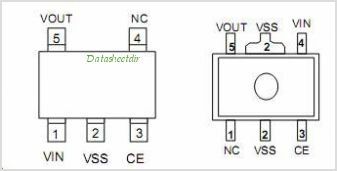 Internally the XC6211 includes a reference voltage source, error Amplifiers driver Transistors current limiters and phase compensators. The XC6211 s current limiters foldback circuit also operates as a short protect for the output current limiter and the output pin. This is one package pinout of XC6211,If you need more pinouts please download XC6211's pdf datasheet. 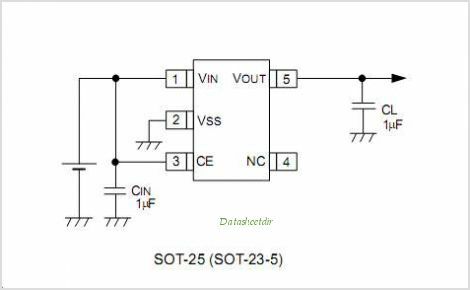 This is one application circuit of XC6211,If you need more circuits,please download XC6211's pdf datasheet.